Super Affiliate Network launched in mid 2016. The company provides a corporate address on their website in the US state of Hawaii. Heading up Super Affiliate Network is Founder, Misha Wilson. After getting started Online at the age of 22, (Misha Wilson) soon there after hit 6 figures by the age of 24, and then scaled his company to the multimillion dollar mark by the age of 25. After being a top earner in multiple different opportunities, and watching 97% of all of his teammates fail due to not being able to duplicate his efforts, Misha saw a gap in the Marketplace. Thus began the beginnings of The Super Affiliate Network. Wilson (right) doesn’t mention the companies he was in prior to founding the Super Affiliate Network. Through various marketing scraps left around the place however I was able to tie him to and Elite Marketing Pro and The Home Business Agency. From the looks of it Wilson’s history is that of your typical affiliate marketer; “I was broke” –> “Now I’m rich selling you stuff on how you can become rich too”. The goal of SAN is simple… To teach all of his members everything they need to know in order to break through and achieve success, along with helping them create there [sic] first breakthroughs with Misha’s done for you solutions. 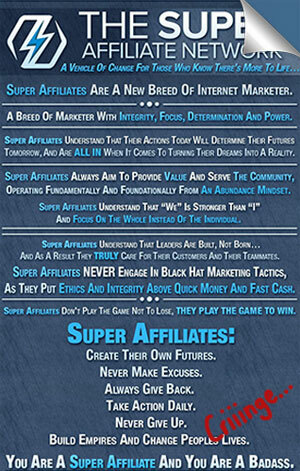 Read on for a full review of the Super Affiliate Network MLM opportunity. The Super Affiliate Network website doesn’t list any actual products. Access to these services are provided upon payment of membership fees. The more a Super Affiliate Network affiliate pays in fees the more services they receive access to. Super Affiliate Network affiliates pay membership fees and are paid when they recruit others who do the same. Commissions are paid on the above fee payments down two levels of recruitment (unilevel). Commission rates are based on how much a Super Affiliate Network affiliate spends on fees. There doesn’t appear to be any commissions paid on Pro Silver, Pro Gold, Maui Intensive and All In memberships sold at the Basic membership level. 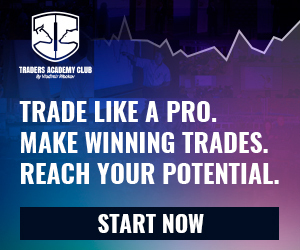 There doesn’t appear to be any commissions paid on Pro Silver, Pro Gold, Maui Intensive and All In memberships sold at the Annual membership level. There doesn’t appear to be any commissions paid on Pro Silver, Pro Gold, Maui Intensive and All In memberships sold at the Premium membership level. There doesn’t appear to be any commissions paid on Maui Intensive and All In memberships sold at the Pro Silver and Pro Gold membership levels. There doesn’t appear to be any commissions paid on All In memberships sold at the Maui Intensive membership level. The Super Affiliate Network Car Bonus is tied to monthly generation of points. Note that generated points do not carry over from month to month, the Car Bonus is an ongoing monthly qualification. The Super Affiliate Network compensation plan does a poor job of explaining costs associated with the various membership levels. As I understand it a Super Affiliate Network affiliate who has bought in at a lower tier is able to “upgrade” for a reduced fee. Note that the more a Super Affiliate Network affiliate spends in fees, the higher their commission rates in the compensation plan. $1 trial memberships, “coaching”, a mountain of membership upsells, ticketed events that cost thousands of dollars… haven’t we seen this before? Oh right, the FTC just busted Digital Altitude for pretty much the same business model. Like Digital Altitude’s Michael Force, Misha Wilson hails from the school of “making money selling other people content on making money”. And so we have a culture where anything is said to get people to hand over money, followed by “if you don’t make any money it’s your fault” cultish behavior. In their lawsuit against Digital Altitude, the FTC essentially argued hardly anybody made the income that what was alluded to. Digital Altitude’s products existed primarily to sell to others on the same income allusions. I’m not seeing anything different in the Super Affiliate Network. On top of that there doesn’t appear to be any retail offering, with everyone in the company an affiliate unless they stop paying fees or do ‘not complete the first 7 modules within their first 30 days‘. On top of that there’s strong “pay to play” baked into the compensation plan, with Super Affiliate Network affiliates required to cough up thousands in membership fees to earn on the sale of the same membership tiers. This in and of itself is a regulatory red-flag. Another highlight of the FTC’s Digital Altitude complaint was the disturbing practice of “coaches” twisting the screws on people to come up with money to join by any means possible. Even if that meant taking out ridiculous loans that prospects had no hope in hell of paying off. What goes on in Super Affiliate Network coaching calls I can’t say, but the company’s compensation documentation does mention “payment plans” for membership fees. In a nutshell prospective Super Affiliate Network prospects are lured in with a $1 membership fee gimmick, which turns into $47 a month. From there it’s upsell your way to success, which in Digital Altitude meant “most people lose money”. With a near identical business model and similar styling, I’m not really seeing how the Super Affiliate Network is any different. Should the FTC investigate, things probably aren’t going to end well.